Friends of Family Farmers is pleased to announce that we’ve completed our 2016 Farmer and Rancher Listening Session Report & Policy Recommendations! The report is the product of many months of work, including taking input at 18 distinct Listening Sessions in farming communities across the state with over 200 attendees. Our producer survey also drew responses from nearly 300 farmers and ranchers across Oregon. This input will be used to develop proactive policy proposals and program work intended for action in 2017-18. 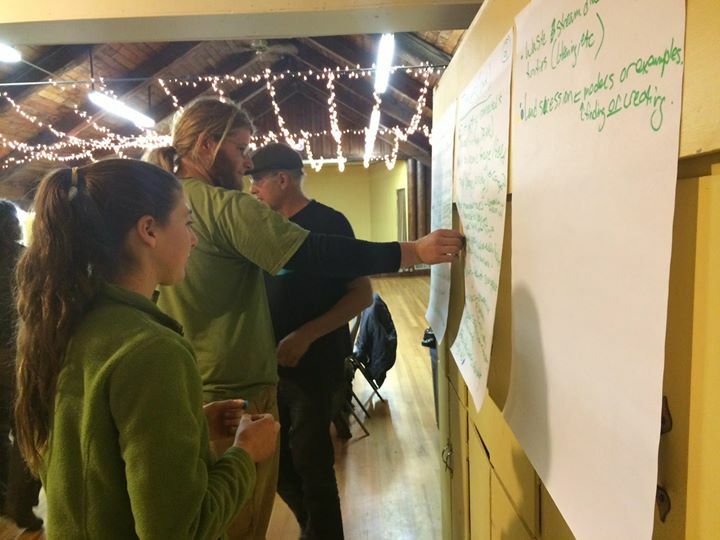 The report highlights priority issues that emerged during this year’s Listening Sessions, and builds on the Agricultural Reclamation Act, FoFF’s roadmap to sound agricultural policies written by and for Oregon’s socially responsible family-scale farmers and ranchers. In addition, farmers in a number of locations also raised concerns over issues of pesticide drift, the need to control or restrict genetically engineered crops, trade deals that benefit industrial scale agriculture, and greater support needed for direct marketing. The report includes a number of policy recommendations to address these topics. We call on all Oregon decision-makers to work with us to take action on these priorities to help ensure that Oregon can remain a great place to live and farm. Over 150 farmers, ranchers, and local food advocates on the State Capitol Steps in March 2015, raising our voices on behalf of Oregon’s family farmers.